1. Comment plugin : This will not generate the client markup (just like JSP Comments <%-- --%>). Option selected is matches to "success"
Option selected is not matched to "success".i.e failed. 5. 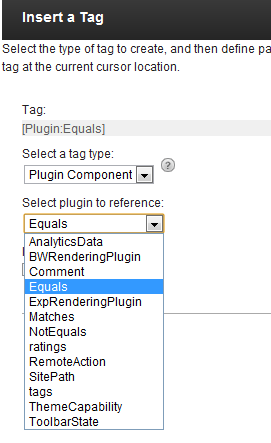 Locale Plugin : Markup between the start and end tags is rendered only if the preferred supported locale is determined. More details and options can be found from the product documentation. NOTE: Local Plugin didn’t show up at the when I am testing in my local and also there is a additional entry that is called tags. Thank you very much, this save a lot of efforts.